1. Apply two layers of Mod Square nail polish as base coat. 2. Apply tape at an angle over dry base coat and color with Muchi, Muchi nail polish. Make sure your base coat is very very very dry otherwise it will peal off with the tape. I also suggest getting tape that is not too sticky (not too sure if there's tape especially for nail art). 3. 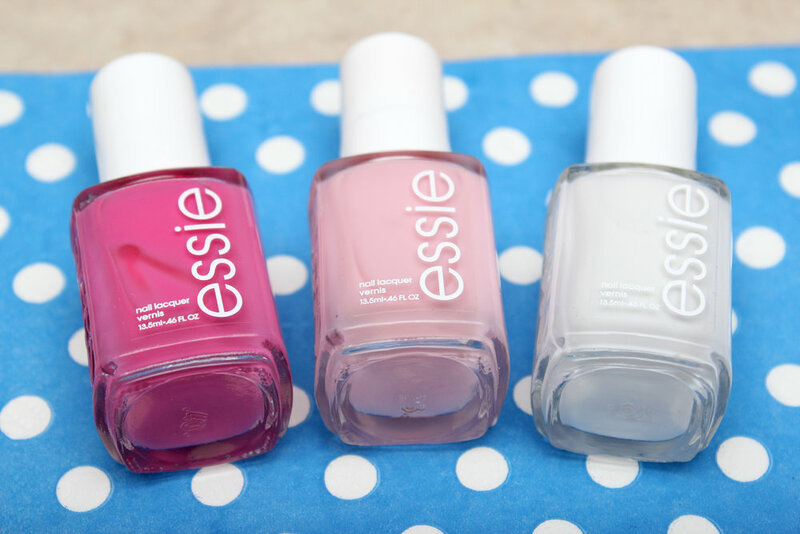 Repeat step two with Blanc nail polish. ...and voila. 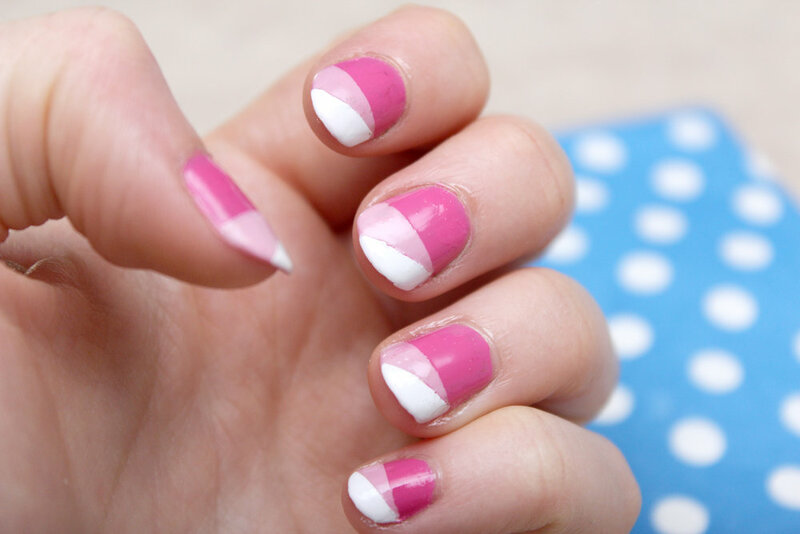 Easy and spiffy nail art. Obviously, you can play around with the colors and the angles. I'd love to see what you come up with!